I had to dress warmly to start the ride as it was only 9 degrees by the time I set out on the bike, but with an optimistic forecast of 23C later that afternoon, I was dressed adequately, but my feet were a bit on the cool side. I sheepishly admit that I found myself in a bit of a race to get ahead of a couple of tractor trailer rigs bound for the bridge, and a few cars heading back to the mainland, and I scooted along until I had paid my toll, and found myself narrowly beating a white pickup truck onto the bridge, where the speed is posted at 80 kph, to apply the brakes when I caught up to this rider on his DR400 who was quite content to ride between 73 and 78 the entire length of the bridge. Oh my. Once off the bridge, I led the truck in a pass, and left the rider behind me as I once again looked for the off ramp that would put me onto 955 New Brunswick and through Murray Corner, the exciting part of the ride. As the roads were damp and the hour early, I kept my speed down and watched out for deer and other wildlife, and I had to as the road had been freshly tar and chip sealed for about 8 kilometres before the village of Murray Corner NB. Quite frankly it needed it, as the road was getting in pretty sad shape there this past year. 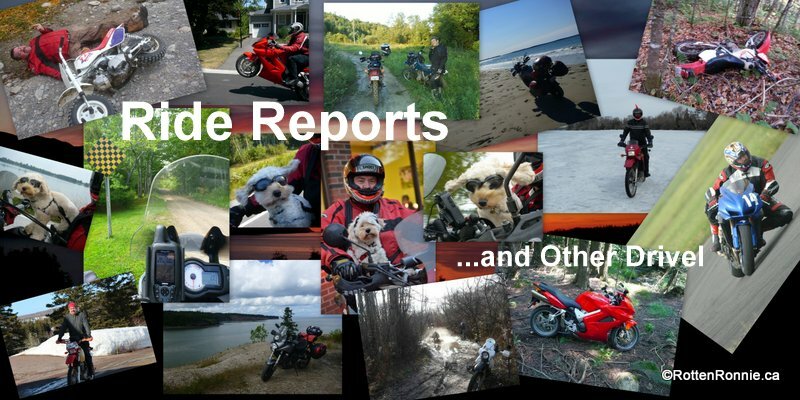 I won't bore you with the ride through Port Elgin and Baie Verte and on through Pugwash and into Tatamagouche along 366 NS and then Route 6 NS, as I've been down those roads many times in the past in search of adventure further afield. I'm in the orange bit, going to head through the purple bit to explore the green bit, with a healthy aversion to riding in the blue bits. I forgot my crayons so you will have to imagine the route. The idea was to start in the orange bit, going to head through the purple bit to explore the green bit, with a healthy aversion to riding in the blue bits. Can the day get any better? 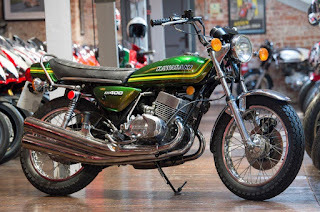 By the time I hit Tatamagouche Nova Scotia, I was warm enough to no longer need to plug my heated jacket into the bike, and I was able to turn off the heated grips that I'd been running with my summer gloves. Route 6 was nice, but heading south on Route 311 NS was a treat. There was a fair number of other cars on the road as well, and whenever I'd pass a few of them, I'd find another reason to stop and take a picture up ahead, so I just gave up, slowed down a bit, and took any opportunity that presented itself for pictures. I made the mistake of following the 311 right into the outskirts of Truro, where I got ensnared in local traffic and slow speed limits, so I quickly changed direction and ignored the GPS to head West and a bit south until I had lined up on the road to Camden NS, on the aptly named "Camden Road". I was a bit disconcerted when it changed to a gravel road, as I began to have doubts that it was indeed a through road, and that I might have to back track a bit, but the GPS was confident, so I took a spin down and was delighted with the fall colours and the absence of any other traffic on the little used road. It looks as if this road were being used to access the blueberry fields here and there, and later on it was clearly used for logging, as the trees to the right had been harvested for that purpose. The Versys does well on gravel, and with my Shinko 705 tires, there was no question of traction except in the odd mud puddle, and even then I was able to add throttle for fun and excitement, as they were pretty small, and not very muddy as the rain that must have fallen earlier in the morning or yesterday was all but dried up in the sun. Some of the tighter sections had some washouts, and potholes, but they were fairly easy to avoid and I only bumped through a couple that I missed that upset the ride, but I'll admit the road was rough enough that I was largely in second and third gear, and never got above 60 the whole time I was on it. I only saw a couple other cars on it, and they were near the south western end, near Route 289 NS where Camden Road ended, and I opted to turn left and head over to highway 2. When I entered the town of Shubenacadie NS, I jumped onto 224 south for a bit, then picked up the 277 that headed towards Dutch Settlement, but passes the fenced in pit mine of Milford Station, operated by National Gypsum (Canada), which is the largest open pit gypsum mine in the world, and from what I could see through the fence, looks like a man made miniature Grand Canyon. I had to stop and get some pictures if I could, but I was restricted to a pretty bad view point, and you see less than a quarter of it in the following pictures. National Gypsum (Canada) ...operates the largest open-pit gypsum mine in the world in Milford Station Nova Scotia. This mine produces approximately 8000 tons of gypsum daily (during full production it is capable of producing over 15,000 tons per day), most of which is moved by rail approximately 30 miles to a ship loading facility at Wright's Cove, on the Dartmouth side of Halifax Harbour. I had already passed the bulk of the mine, and was unable to get a picture, but found an access road that offered a bit of a view. Once I got myself sorted out, I caught 322 and headed East over to Cow Bay and found Rainbow Haven Provincial Park worth taking a gander at. It seemed to be a popular spot to visit, and there was a bit more traffic and people than I had expected, but I thought it worth the circuit, as it passes by a marsh that is frequented by a number of birds, and after spotting a blue crane, I stopped the bike and was fumbling with my camera as it spread its wings and took flight. I think they are so majestic, but have very little luck photographing them. I really got a sense that I was leaving the city, but it was evident that the homes along the coast belonged to commuters who earned their living in the city. The shoreline began to open up a bit, and I was very careful in the traffic when stopping for these shots. A few kilometres further down the road, I passed a rock beach with a few cars in the lot, so I decided to stop and have a late lunch as it was now almost three, and I hadn't eaten since breakfast at Anna's Country Kitchen earlier today, and I was carrying my lunch on the bike. I pulled out my folding chair and my lunch bag and headed just over the dune to get some great shots of the beach from my vantage point on the shore. A sign proclaiming that swimming was forbidden due to the currents at the beach didn't stop some bathers who chose the tidal pools as opposed to the main flow of water. Then I saw them walking down to the beach with a kite and board, so presumed they were going to be trying some kitesurfing and stayed a bit longer to watch the show. He was having a hard time controlling the kite while getting his feet onto the board, so if you told me he was a novice at the sport, I would believe you. I stuck around to watch him get up and rolling, and I was impressed at the speed with which those kites drag you, and in this instance, it was dragging him towards the opposite shore and into deeper water, so he bailed and walked it back to start over, at which point I packed my gear back onto the bike and continued my way east along the coast. Just on the other side of the point was the Lawrencetown Beach Provincial Park, and it was crowded in comparison to the rock beach I'd just left, with lots of sand and people enjoying the warm fall weather, along with a few surfers out in the water waiting for a crest to ride. The 207 ends at 7, and I made a right hander onto the road that I would be taking up along the coast. I've never been on this stretch that leads up to Musquodoboit Harbour, but have been on the northern section of it a few times now, and I quite enjoy the ride. I was running low on fuel, and with only two bars left and 240 km on the tank, I was getting a bit nervous that I'd run low on fuel out this way. I was fairly certain that I'd find a gas station up in Musquodoboit Harbour, but as a friend had run out of fuel up this way on his Suzuki Savage a couple of months ago in almost the same spot, that little bit of worry became a concern, and after having passed through the town to find no pumps, I did a u-turn on the outskirts and headed back to find a local and ask about the location of a gas station, and if I should carry on up the road, or turn back towards Halifax. I was relieved to be told that there might be a couple of stations open up the road about five to eight kilometers ahead, so with a bit more confidence, I resumed my journey east, and sure enough found a station not too far up ahead, and filled my tank. Now I had a full tank of gas that would see me through part of the Thanksgiving weekend Sunday, enough to get me into a larger town if the local stations weren't open. *phew! * Onward! The shadows were lengthening as it neared 5 in the afternoon, and the sun brilliantly lit up these seaweed covered rocks, so I stopped and enjoyed the sight and the moment. Now the shorter days of Fall riding were here, and as the sun would be setting in only another hour and a half, I was looking for suitable places to camp that could be had for free, and I passed a little spur of land off of the causeway with a sign proclaiming it to be Crown Land, so I did a u-turn to find that it had been used for the purpose in the past, and indeed, there might have been a bush party here the night prior. There was a red Mazda parked up near the point, with some gear and firewood laid out, so I assumed that someone else was going to enjoy the evening here, and I called out to find the owner of the car sitting on a stool just out of sight, looking at the birds out in the bay. After I introduced myself to Trevor, and mentioned that I was looking for a campsite for the night, I asked him if he minded sharing the spot, and he was very gracious and allowed me to not only have my choice of where to pitch, he also invited me to join him over his campfire that evening. Brilliant! As I like to get my tent set up first thing, that is precisely what I did, then I simply turfed my sleeping bag and mattress into it, all still in their bags, and started to shed my gear and load up the tent with my helmet, jacket, tank bag etc. I've got to admit, I was a bit slow setting up the tent and getting myself sorted out. I felt just a bit disorganized, and I was grateful that the weather was warm, dry and there was no pressure to get things up and myself settled in for the evening. I collected some things for supper and my campsite chair, and joined Trevor at the firepit where he as busy using a well loved axe to split wood for the night, and we started chatting away merrily about camping gear, axes other things as I laid out a bit of gear for a cuppa. It turned out that Trevor was a tea drinker as well, so happily accepted the offer of a brew up, but lost a lot of my respect when he declined the offer of fresh milk in favour of cream that he packed along in his cooler, the philistine! I was pretty excited that I would be using my new DPower China Stove in anger for the very first time as opposed to my old SVEA123r, but I'd hedged my bet and packed along my Trangia clone with enough alcohol to see me through the weekend, just in case the DPower turned out to be a catastrophic failure... It took me a few minutes longer to get setup for the brew, as I'd also rearranged my kitchen, and there were bits and pieces everywhere that needed sorting. I was impressed with how easy it was to deploy the stove. In fact, it took longer to get the windscreen into position, and once I had the stove setup, it was a simple matter of opening up the valve, pressing the igniter switch, and placing the pot and lid in order to get it working merrily away as Trevor built laid the fire with the kindling he'd been labouring on while I got the tea ready. The stove offers great flame control, but of course I was running it on high in order to boil the water quickly. That first shared cup of tea at the end of a day of riding was wonderful. Note that I'm using a butane cylinder and gas adapter with my stove, and it is very important that the notch (you see it as a black lug under the red cap) be vertical and at the highest point, so I had to lay the can on an uphill slant, and the two pipe clamp legs that are on it, worked well even on the grass to prevent it from rolling out of the vertical. Trevor was working on the fire, and accepted my offer of some liquid boyscout, so I tossed a couple of cap fulls of Methyl Hydrate (denatured alcohol) onto the fire to speed it along, and in no time we had a nice fire going as the sun began to set across the Ship Harbour River. It's not even half past 6 of the clock! Trevor is an interesting character, and used to ride dirt bikes in his youth, and has a basket case 1976 Kawasaki KH400 two stroke triple sitting at home that is waiting to be restored, but he admitted that his passion runs to his '73 Lotus Europa as opposed to two wheeled sport. I will be the first to admit that I had to use google to look up these up, and I've added a couple of pictures of what I think is close to what he described. 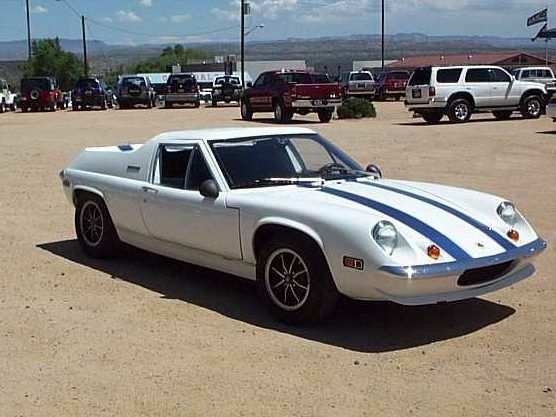 That Lotus looks like a ton of fun! It was only seven o'clock, yet shortly we both had our flashlights out while cooking over the fire, and I sheepishly admitted to having six with me, and the newest acquisition sitting in my pocket. Trevor one upped me, as he's got a total of eight with him, and a neat little UCO tent candle that he's been using for a few years, and absolutely loves. I showed him my trangia hack turning it into a candle, and he trotted out his stainless steel alcohol stove that he's had for years and years. We're both budget campers, and I enjoyed comparing experiences and gear. Trevor offered a concoction that surprised me at first, hot water with a shot of Bailey's added to it as a liquid dessert, and let me tell you it was fabulous! He apologized for he had only been able to find a bottle with cinnamon and coconut added, but I enjoyed it nonetheless, and as a first experience it is a new fireside benchmark. I think I'm going to have to visit the liquor store and stock up on a few of their little 'airline' bottles of bailey's for future trips! Five hours of conversation later, we'd firmly established a road trip friendship, that it was almost midnight when we poured some saltwater onto the embers of the fire, and he retired to the back of his car to sleep the night, and I to my tent. The sun wasn't up until just after seven in the morning, and I got a feeling of laziness as I lay in my tent waiting for the darkness to disappear as I was up at six, and fell back asleep after reading for a bit. Now it was time to shift my lazy bones and get some of my kit bomb sorted out and packed away before joining Trevor at last night's fire pit and getting breakfast on the go while watching the blanket of fog out over the river, and wondering if the sun was going to make an appearance. I offered him eggs tea and oatmeal, and he in turn offered me eggs, tea and oatmeal. Hahaha! We boiled up the eggs over his old MSR Simmerlite stove, while I had the tea and oatmeal water boiling on my butane rig, with enough fresh milk left over to enjoy a proper cup of tea. I'm still sorting out the kitchen, and I mentioned to Trevor that I felt like a bag lady with the four bags that I produced to make that one simple meal. I'll try to reduce it to a couple of bags later on when I have a different set of pots more suited to cooking meals as opposed to the current set of "boil and go" pots that work so well with my SVEA. Trevor had disappeared across the highway and came back with a pot what he called 'slightly brackish water from the lake' on the other side, and when the eggs had been done, he handed mine back to me, but one of them had split open, and I found that it needed no salt at all, and we laughed when we found that his 'brackish lake water' was straight out of the Atlantic Ocean! Over breakfast the fog was beginning to lift over to the West, and we watched a loon and cormorant fishing in the cove, then watched a fisherman come out to service his fish farm further out, neither of us knowing just what he was adding to the water. (or taking away?) A vertical rig over the side of the boat was raising a mist of water for about twenty minutes or so before he moved off down the bay. The sun making an appearance. My host and campfire companion. Trevor hit upon a brilliant method for car camping, and that is to use magnets that secure nylon fly screen over top his open car windows, so he has insect free ventilation at night. I had to share this. We were in no hurry and it was well after nine when I began to take down the tent, and shake Trevor's hand and say farewell as he would be heading in the opposite direction towards Halifax and home, while I was traveling east towards Sheet Harbour. It was just after ten when I let out the clutch, only to u-turn and get this picture of the fall colour. The further east I went, the more disappointed I was in the lack of fall colour. Maybe I was a week or two early for this part of the coast? As I passed a sign for Taylors Head Provincial Park, I decided that I had all the time I needed, and missing out on seeing the park would be something I'd regret later on, and I was fairly sure that there would be a washroom or outhouse there, so I headed south down the 5 km stretch of gravel road, taking care to avoid the odd pothole. I have to admit the scenery was nice, but I had no hope of framing the lovely little rock islands in Spry Bay adequately with my camera, so I kept on until I found an entrance to a beach on Taylors Head Bay and had the entire beach to myself! The boardwalk back to the parking lot where I'd left the Versys was interesting, especially the moss growing on the trees, and the odd rock here and there. It was now so warm that I removed my jacket liner and rode with summer gloves and just a motocross shirt under my leather jacket. It was a tad cool, but invigorating. I was starting to see a bit more colour now, and I was on the outskirts of Mushaboom NS, and not too far away from Sheet Harbour NS where I would have to make a decision to continue further east on 7 or opt to head north on 374 up into Stellarton NS. I will admit that I chose a bit of a dangerous place to stop on the bridge over the West River that flows into Northwest Arm through the center of the town, and more than a couple of vehicles shifted to give a bit of room as they rolled on by, but I think the picture was worth it, even though I feel slightly sheepish about it. I had only used about 70 km worth of gas, but wanted to top off and ensure I had a full tank again, on the odd chance that the gas stops up ahead might be closed this Sunday, and while at the Irving, I had a sit down and cuppa tea and met by chance Alex, who had flown in from Toronto and was on his way up to drive around the Cabot Trail before heading back into Halifax to fly back out on Monday. When I asked Alex where he was from, and he responded "Toronto. ", I replied dead pan "I'm sorry to hear it." and after he finished laughing, mentioned that I was originally from Richmond Hill Ontario myself, and was pleased when it turned out he was familiar with it, as he'd lived in the Hill himself, and was working as an Industrial Electrician, so we had a bit to chat about. Moreso, as he is a bit of a car nut and runs a BMW 135 track toy, but bemoaned the fact that he'd ripped the dual clutch out of it after a fun run with it on the track. Shannonville, I think. Before the 135, he used to be a Miata lover, and I had to laugh as my brother-in-law Kirk loves the miata, and moved up from an older one to a cherished 2015 model. I asked him what he thought of Volvo, as Kirk was toying with the idea of reliving his youth with a late '70s model rear wheel drive wagon that he'd flogged about in Alberta, and Alex said he'd prefer an '80s Volvo 240 with a 5 litre mustang engine dropped into it. Talk about a coincidence! Cheers Alex! I wasn't feeling all that rosey, and with rain in the forecast, I decided that I'd had enough of camping for the weekend, and would shorten the trip by cutting north up the 374 and head for Pictou that afternoon, which should put me back on the Island before dark if the rest of the ride went to plan. I lubed up the chain with my Endurostar trail stand, and hopped back on the Versys to head out of town, bound for Malay Falls NS. When Kirk showed me this road seven years ago, it had been in really sad shape in some sections, and if you rode it at a spirited pace, you would have to carefully pick your line through patched pavement, frost heaves and odd pothole. Fast forward and today it was in decent shape for me, and as I was riding with the intent of keeping my license, I found it brilliant but for a three kilometre stretch that could use resurfacing. I don't think the sportbikes would want to get their knee down on parts of it, but they would love the wide sweepers and elevation changes. Dual sport riders would be craning their necks checking out the plethora of trails to the left and right that head into the interior. It was evident that there was lots of activities for loggers, hunters and ATV enthusiasts just through the treeline to the left and right, the only thing spoiling the landscape being the hydro lines from the hydro electric station at Malay Falls. I wanted to take a side cut and see the Falls themselves, but found nothing visible from the roadside, other than the hydro electric station, so carried on up the road to find a wonderful twisty stretch replete with leaf in full autumn splendour. This is the one picture I have that best captures the road and view. I spotted a car stopped at the bridge up ahead on 374, and I guessed correctly that they couldn't pass up a photo of the colour seen from the bridge. My camera just doesn't do this justice. Zac, this is the average condition of road up there. The call this "Anti Dam Flowage" in Garmin Maps... ??? Jackpot! This is why I'm on the bike this weekend! "the Lobster Trap that is Prince Edward Island." You get in for free, but pay when you get out. I'm not sure why they loaded the top deck first... I would have thought you would reverse the order, or perhaps they reserve the lower deck for larger vehicles? Cormorants resting on the wharf. My sister asked me to stop and pick up some dog food on the way home, so I stopped at the Sobey's in Stratford, and while hunting for my spare dry bag for the groceries, it began to rain a bit, the first I'd seen all weekend long. In fact, the worst riding conditions of the entire weekend, as there was a terrific 50kph sidewind that was constantly wrenching my Arai XD4 around, and shifting the bike around in the lane a tad. I got the bike back into the driveway in time to grab a plate and sit down at the table with family and friends for one of the best turkey dinners I've had in a while. I hope you all had a wonderful Thanksgiving this year. Where do you like to ride for fall colours?